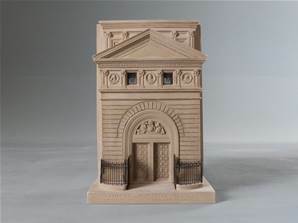 THE NATIONAL PORTRAIT GALLERY, LONDON 1896 (single doorway model)London has so many great landmark buildings it is often difficult to choose between them. 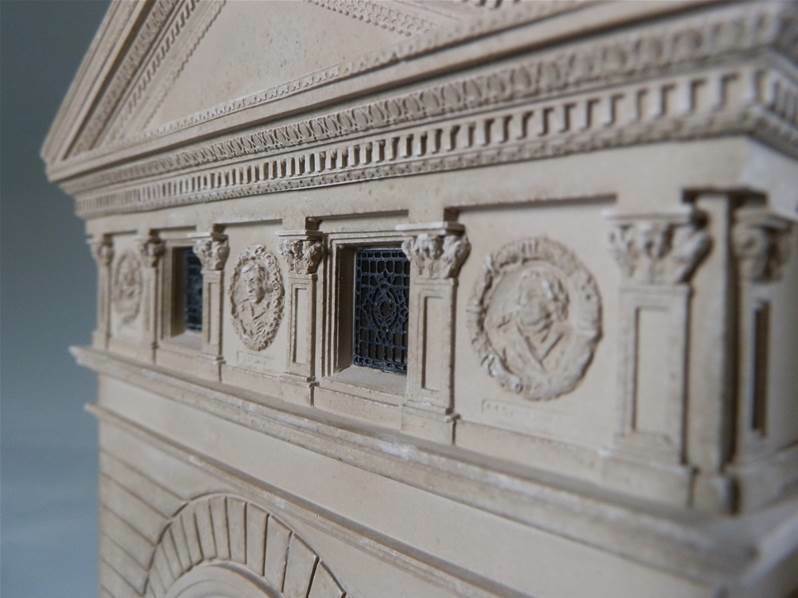 However, this grand design is eminently worthy of inclusion. 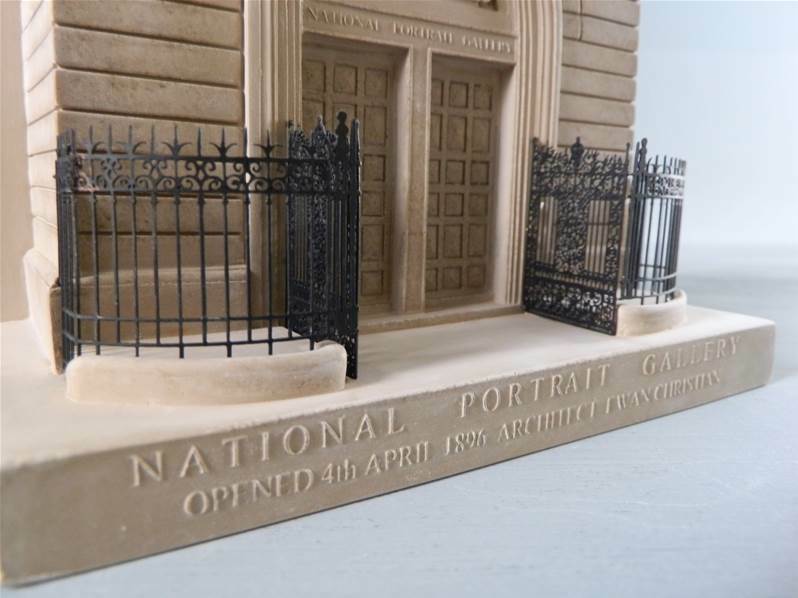 Within The National Portrait Gallery are the portraits of the great, the good and the not so good, from Tudor England to present times. 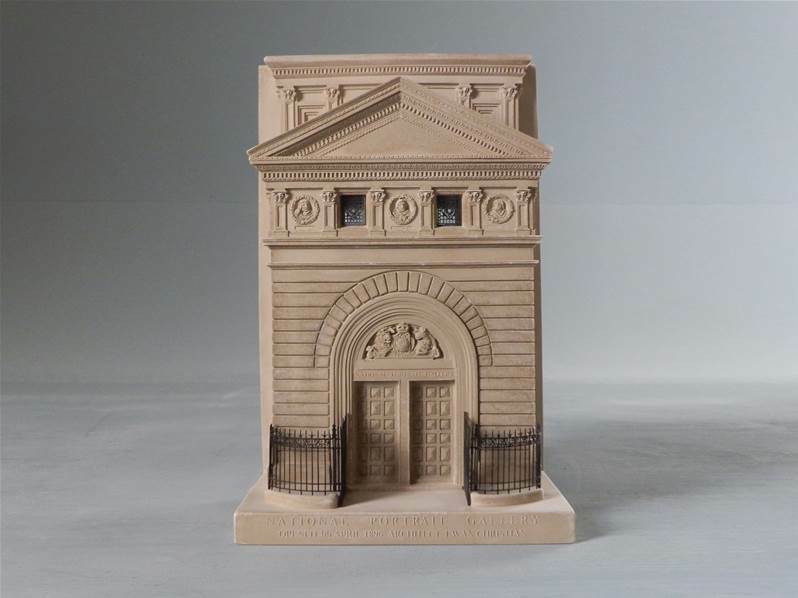 The three founding fathers look out from the wreathed niches whilst the lion and unicorn guard the double door entrance.This is a classic model, often chosen to pair with the Royal Academy model. 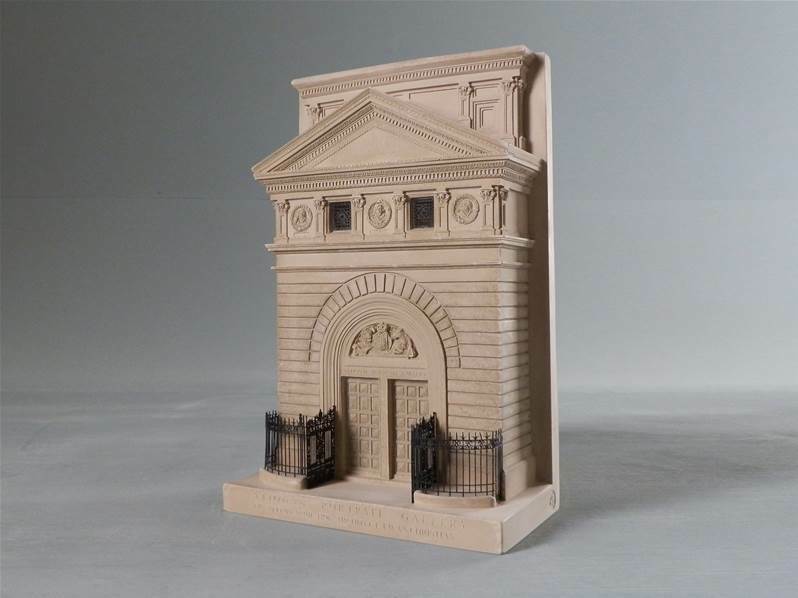 It was commissioned by The National Portrait GalleryWeight: 2.9 kg Dimensions: 6w x 9h x 3dThe entrance to any building immediately sets the scene for what is to be found inside and the doorway models from Timothy Richards of Bath focus on these iconic elements of the building. 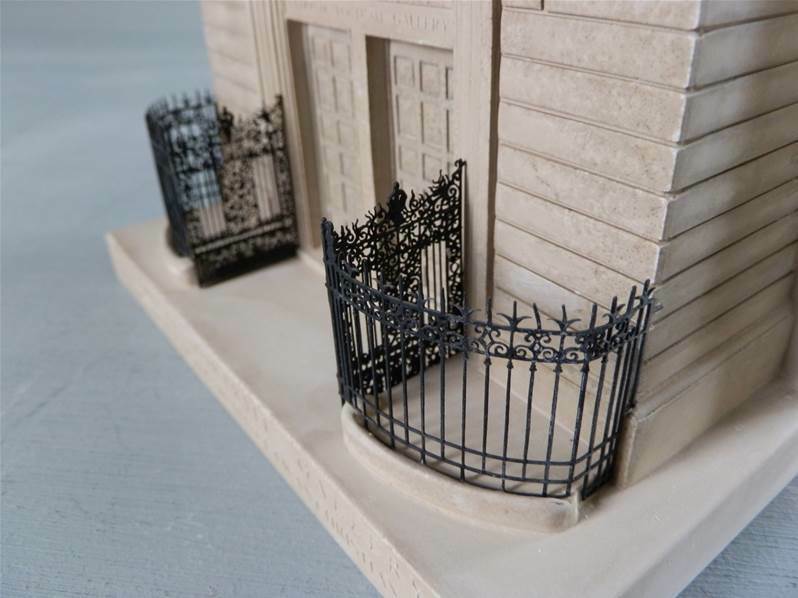 They make a striking focus on any mantelpiece, occasional table or bookcase and make a memorable gift for all occasions.